MONTREAL — Metro Inc. has wrapped up financing for its $4.5 billion (Canadian) deal to acquire the Jean Coutu Group. The Canadian food and drug retailer updated the status of the Jean Coutu acquisition on Tuesday in reporting its fiscal 2018 first-quarter results. Metro said sales rose 4.7% year over year to $3.11 billion, while same-store sales edged up 3.4%. Under the agreement announced in early October, Metro plans to acquire Jean Coutu Group for $24.50 per share in cash and stock. Jean Coutu shareholders will receive an aggregate consideration of 75% in cash and 25% in Metro common shares. Jean Coutu shareholders overwhelmingly approved the acquisition deal in a late November vote. 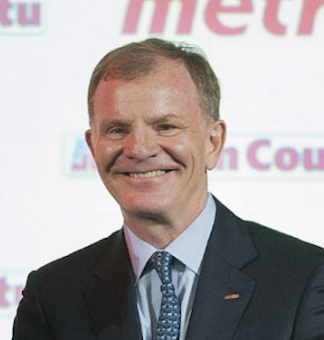 Metro said in its first-quarter report that, to fund the cash component of the purchase price, it disposed of most of its investment in convenience store operator Alimentation Couche-Tard Inc. for over $1.53 billion. In addition, Metro issued a private placement of $1.2 billion in unsecured senior notes with maturities of five to 30 years, and the company said it has access to a term credit facility totaling $500 million, including three tranches with maturities of one to three years and a one-month $250 million bridge loan. The Jean Coutu acquisition is expected to be finalized in the first half of 2018, according to the companies. Together, Metro and Jean Coutu will form a $16 billion food and drug retailer with more than 1,300 stores in Quebec, Ontario and New Brunswick. That encompasses Metro’s 630 food stores in Quebec and Ontario-New Brunswick, Jean Coutu’s 419 drug stores in Quebec and Ontario-New Brunswick, and Metro’s 258 drug stores in Quebec (including the Brunet pharmacy chain) and Ontario-News Brunswick. Plans call for Metro’s pharmacy distribution and franchising activities, including McMahon Distributeur Pharmaceutique Inc., to be combined with those of Jean Coutu. Metro said Jean Coutu will operate as a stand-alone division with its own management team, led by its current president and CEO François Coutu.